This entry was posted in Photo Challenge and tagged Playhouse Square. Bookmark the permalink. Actually, it look like the weathervane on my roof. But I live in Fairfield. There’s possibility this is a new weathervane because the copper hasn’t changed color. 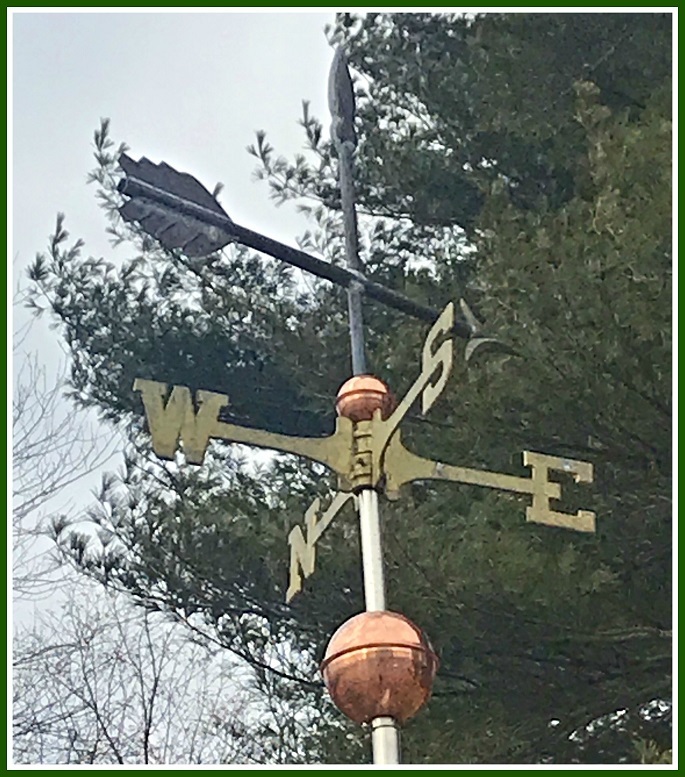 Is this weathervane new with real copper or just decorative? So is this weathervane on an existing structure or a newly built/renovated structure? Also needs a backdrop of pine trees. On the roof at 134 Cross Highway (Wakeman Town Farm). Sorry, no. I’m surprised this one hasn’t been correctly identified yet. Perhaps it’s the weathervane that use to be at the top of the steeple of the Green’s Farms Church. I believe that the weathervane is now in the inner courtyard of the GF Church. Since its new is it at the Senior Center? I don’t think it’s new. Nope. This is a popular place — but not one that people just drive by. No sir. Other side of town. I’ll feel stupid if I’m right – but Earthplace?